Home Dining Chefs and Restaurateurs Momofuku Milk Bar’s Sweet Sensation Christina Tosi Visits L.A.
Christina Tosi's new cookbook comes out in April. 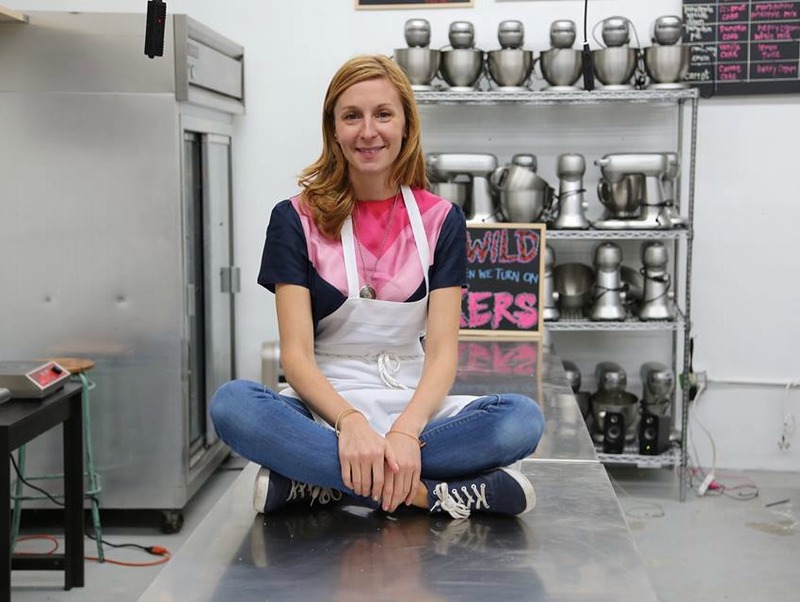 Momofuku Milk Bar’s Sweet Sensation Christina Tosi Visits L.A.
Christina Tosi, founder, chef, and co-owner of New York’s Momofuku Milk Bar, will be in L.A. this week, making desserts for Thursday’s American Masters Dinner at All-Star Chef Classic. After courses by Nancy Silverton, Wylie Dufresne, Daniel Patterson, and Michael Cimarusti, Tosi will end the meal by serving her Apple Pie Cake with Miso Butterscotch, Sour Whipped Cream, and Pie Crumble, plus mini versions of her famous Crack Pie as petit fours. Thanks to the wonder of coast-to-coast delivery via Milk Bar’s own site as well as Goldbely, you can also eat Crack Pie and other Tosi treats at home in L.A. without going to an event or making them yourself. If you do want some hands-on fun, though, Tosi’s second Milk Bar cookbook, Milk Bar Life, comes out April 7. Spread the miso in a thin, even layer on a Silpat-lined baking sheet and pop it into the oven for 20 to 30 minutes. The miso should be in the blackened side of browned and should have an incredibly appetizing burnt smell to it. Let the miso cool briefly, so it’s easier to handle, then scrape it into a blender jar. Add the brown sugar, mirin, vinegar, and butter and blend until the mixture is homogeneous and smooth. Scrape the mixture into a bowl and store, covered, in the refrigerator for weeks, if not months. Milk Bar’s Christina Tosi Is Letting Her Imagination Run Wild in L.A.